Matt Supinski is a Steelhead Master. However, He is by no means a one-dimensional fly fisher. Matt was traveling through Pennsylvania early in the new year and he took advantage of the mild weather the North East has had. 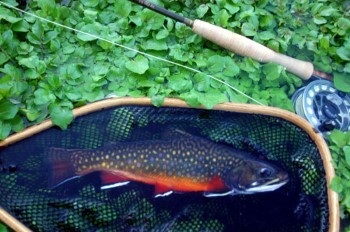 He caught this gorgeous Brookie on a “Pheasant-tail Big Spring Midge” tied on a Daiichi 1120-24 hook with 8X tippet.